Wildlife Beauty vs. Business Beast? 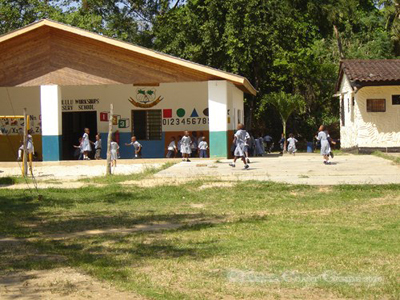 Kenya’s education system consists of early childhood education, primary, secondary and college. Early childhood education takes at least three years, primary eight years, secondary four and university four or six years depending on the course. Preschooling, which targets children from age three to five, is an integral component of the education system and is a key requirement for admission to Standard One (First Grade). At the end of primary education, pupils sit the Kenya Certificate of Primary Education (KCPE), which determines those who proceed to secondary school or vocational training. Primary school age is 6/7-13/14 years. For those who proceed to secondary level, there is a national examination at the end of Form Four – the Kenya Certificate of Secondary Education (KCSE), which determines those proceeding to the universities, other professional training or employment. The Joint Admission Board (JAB) is responsible for selecting students joining the public universities. Other than the public schools, there are many private schools in the country, mainly in urban areas. Similarly, there are a number of international schools catering for various overseas educational systems. Kenya is a diverse country. Notable peoples include the Swahili on the coast, pastoralist communities in the north, and several different communities in the central and western regions. The Maasai culture is well known due to tourism, despite being a minor percentage of the Kenyan population. They are renowned for their elaborate upper body adornment and jewelry. Kenya has an extensive music, television and theatre scene. The two biggest genres of pop music played by Kenyan bands are called the Swahili sound or the Congolese sound. Both are based on soukous (rumba) from the Democratic Republic of the Congo. Swahili music can be distinguished by a much slower rhythm, though the styles have had a tendency to merge in recent decades. The genres are not distinguished by language, though Swahili pop is usually in Swahili or the related Taiti language. Both are sometimes in Lingala or one of the native languages of Kenya. Congolese musicians were the most popular performers in Kenya during the 1970s and ’80s, only losing their mainstream acceptance in the early 1990s. Orchestre Virunga was perhaps the most popular and long-running of the Congolese bands. During this period, Swahili musicians (many from Tanzania) were mostly based around the Wanyika bands bands. This group of often rival bands began in 1971 when a Tanzanian group named Arusha Jazz came to Kenya, eventually becoming the Simba Wanyika Band. The band first split in 1978, when many of the group members formed Les Wanyika. Other notable Congolese groups in Kenya included Super Mazembe and Les Mangelepa. Ngugi wa Thiong’o is one of the best known writers of Kenya. His book, Weep Not, Child is an illustration of life in Kenya during the British occupation. This is a story about the effects of the Mau Mau on the lives of black Kenyans. Its combination of themes – colonialism, education, and love – helped to make it one of the best-known novels in Africa. M.G. Vassanji’s 2003 novel The In-Between World of Vikram Lall won the Giller Prize in 2003. It is the fictional memoir of a Kenyan of Indian heritage and his family as they adjust to the changing political climates in colonial and post-colonial Kenya. 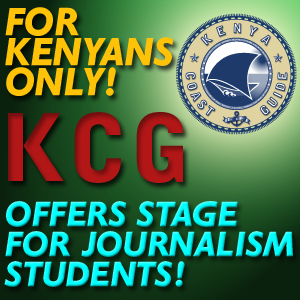 There are more than 90 FM stations, 14 TV stations and unconfirmed number of print newspapers and magazines in Kenya. They mainly use English as the primary language, with some media houses using Swahili. Use of vernacular languages is commonly used in broadcast media, mostly radio. Kenya’s state-owned Kenya Broadcasting Corporation remains the only broadcaster with countrywide coverage. It broadcasts in both English and Swahili plus various vernacular languages. Royal Media services is the largest private national broadcaster with countrywide coverage. It also broadcasts in both English and Swahili plus various vernacular languages. A dozen private radio and television stations have ranges that are limited to the Nairobi area. KBC, Citizen FM, Kiss FM (pop), Classic FM (classics), Capital FM (rock and pop), Easy FM (R&B), Metro FM(Reggae), X FM(Rock), Homeboyz Radio(Hip hop and R&B) are the popular radio stations in Kenya in terms of listeners and coverage. A number of established private radio stations broadcast in local vernacular languages, including Kameme FM and Coro FM (Kikuyu), Metro East FM (Hindi), Chamge FM, Kass FM and Rehema Radio (Kalenjin), Lake Victoria (Luo), Mulembe FM (Luhya), Mbaitu FM (Kamba) amongst others. KBC, NTV, KTN, Citizen TV, K24 are the biggest TV stations in Kenya in terms of coverage and viewers. Recently entertainment TV ventured in the Kenyan airspace with the inclusion of Kiss TV, a 24 hour Music TV Station and Classic TV which airs African content in terms of movies, programs and music. More than 100 applications for radio and television licenses are pending before the Communication Commission of Kenya, which is the independent regulatory authority for the communications industry in Kenya. Its role is to license and regulate telecommunications, radio-communication and postal/courier services in Kenya. Kenya’s print media are diverse, ranging from well-respected newspapers and magazines to an expansive tabloid press. Two independent national newspapers, the Daily Nation, The Standard and regional and specialised papers like Business Daily and The Star feature quality reporting, as does the weekly, The East African, which is published in Nairobi, Dar es Salaam and Kampala. Under the Kibaki government, the media have demonstrated greater editorial independence than in previous years, and the number of press freedom abuses has declined. Still, some media policies and incidents continue to inhibit press freedom, e.g., the need to post a costly bond prior to publication and to register afterward. In 2003 the government invoked a restrictive constitutional provision on court coverage to intimidate journalists reporting on a possible political murder. In March 2006, hooded policemen raided the offices of The Standard newspaper and Kenya Television Network, claiming concerns about internal security. The media in Kenya is regulated by a statutory body called the Media Council of Kenya. The Media Council of Kenya is an independent national institution established by the Media Act, 2007 as the leading institution in the regulation of media and in the conduct and discipline of journalists. It is mandated amongst other to register and accredit journalists, register media establishments, handle complaints from the public and create and publish yearly media audit on the Media Freedom in Kenya. During accreditation the journalists agree to adhere to the Code of Conduct and Practice of Journalism in Kenya, which was created by media practitioners and stakeholders with the view of making Journalism in Kenya a more professional and respectable field. This text provides a basic information. KenyaCoastGuide.com can not guarantee for the accuracy or completeness of the information provided to you from this website.